”The Stiff Robo Ginger” Gary Jay d. “The Raging Bull” Maverick(w/ Drew Gold) in an Anarchy Rules Match to win the St. Louis Title. 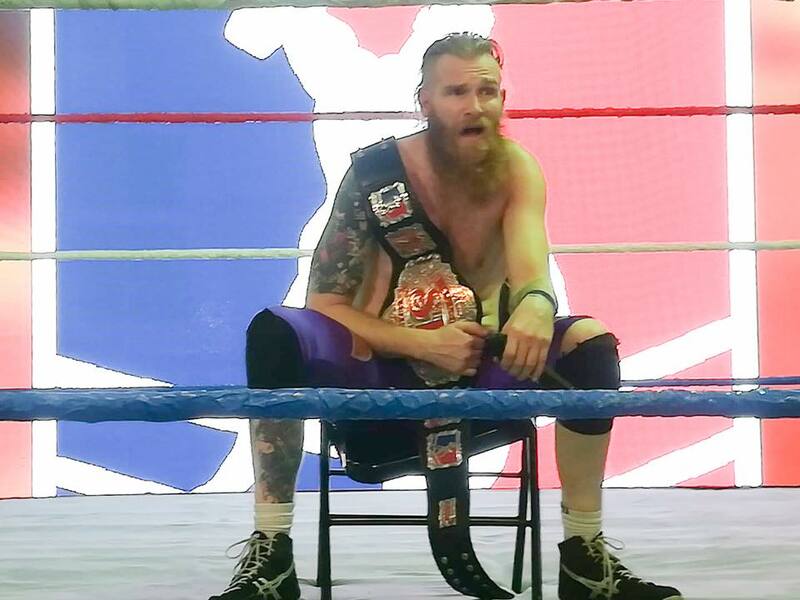 Despite Drew Gold’s interference and a lot of weapons being used, Gary got the hard-fought win after double-stomping Maverick’s head onto a steel chair (17:08)! This entry was posted on November 8, 2017 at 9:37 pm	and is filed under Uncategorized. You can follow any responses to this entry through the RSS 2.0 feed. You can leave a response, or trackback from your own site.